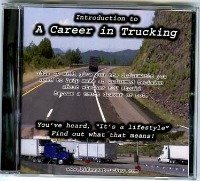 Is Trucking A Recession Proof Career? When I say trucking is a recession proof career, I don't mean literally trucking will not suffer any during an economic crisis. What I do mean is that because of the nature of the industry trucking will be the last to feel the effects of the economy and one of the first to recover as the sick economy heals. Think about it from a logical standpoint. Every other company that continues to use or produce goods will need trucks to get materials there and haul them away right? As soon as the economy starts to recover the demand for drivers immediately picks back up. We don't have to worry about producing the right product or hope the consumer buys this or that in order to be in demand. What we supply is in demand no matter what the consumer wants. We supply transportation of what ever is moving. Our demand is safetly predictable. Unless you really think that the sky is falling and we shall never again, experience growth in the economy, there is no way you can deny that trucking is a great place to be. That includes during a recession. Will companies go under doing a recession? Of course. It's unfortunate but the good drivers can go somewhere else and get another job. Often people stay somewhere that they needed to leave from anyway. If company goes under, in many cases, it needed to go under. The good news is that a good driver can go somewhere else and get a job. For most other types of employees, can they can't and get another job as easily when let go in a recession? So that's why I say trucking is recession proof. What Do You Think About Trucking and the Recession? Do you think I am off base here? Do you see things in a different way? Do you think I am insensitive or a realist? What say you? 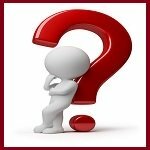 Are you here because you are changing careers and you are trying to decide if trucking is a safe move to make? 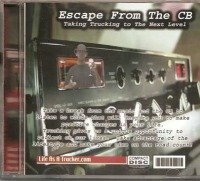 Are you a trucker and the recession got the best of you?